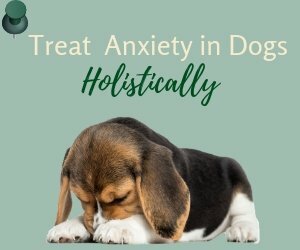 Simply put, an autoimmune disease occurs in dogs when one or more components of the dog's immune system becomes overactive, and the ability of the immune system to distinguish between "self" and "foreign" is lost. That is, the immune system cannot tell whether some proteins are in fact part of the dog's body tissue or organ, or whether they are from the outside. Instead of producing antibodies to defend the body against foreign proteins such as bacteria and viruses, the immune system starts producing antibodies to attack and destroy the body's own cells and organs. What is Autoimmune Hemolytic Anemia in Dogs? AIHA is an immune mediated disease in which the dog's immune system attacks and destroys the body's red blood cells. It's also known as "Immune Mediated Hemolytic Anemia" (IMHA). According to Dr. Jean Dodds of Hemopet, this potentially life-threatening disease is being reported with increasing frequency. In dogs, AIHA is often associated with blood marrow failure. Hemolytic anemia in dogs can be primary (idiopathic - unknown cause) or secondary. Dogs with primary AIHA have immune systems that are not working properly, and they produce antibodies that target, attack and destroy the body's own red blood cells. Most dogs with hemolytic anemia (about 3/4 of them) have primary AIHA. The disease or toxin basically changes the surface of the red blood cell, so that the immune system mistakenly "thinks" that the blood cells are "foreign invaders". The immune system therefore targets and launches an attack on these cells. Once targeted, the red blood cells are destroyed by a process called hemolysis. They can be destroyed either within the blood vessels, or when they circulate through the liver or spleen. When red blood cells are being destroyed, they release hemoglobin, which has to be broken down by the liver. As you can imagine, this puts extra burden on the organ. That's one of the reasons why dogs with AIHA are also prone to liver disease or failure. Forty-seven percent of the dogs surveyed were diagnosed between 6 and 8 years old. Fourteen percent were diagnosed at 9 years or older, and forty percent five years or younger. Fifty-four percent of the dogs diagnosed were female and spayed, while 28% were male and neutered. This correlates with study findings that AIHA is more prevalent among spayed female dogs. Of the 100 dogs diagnosed, 40% had primary hemolytic anemia with no known cause. Twenty-two percent were the result of vaccines; 10% were caused by flea, tick, or heartworm meds; 9% were due to pre-existing health or genetic conditions. AIHA can cause a host of other secondary health conditions. For example, due to not having enough oxygen delivery to cells and organs, major organs such as the liver and kidneys will be adversely affected. In serious cases, it may cause organ failure. The most common complication, however, is thromboembolic disease (i.e. A blood clot formed in a blood vessel that breaks loose and being carried to plug another vessel). This may result in complications such as respiratory difficulty, or even sudden death. He may also do some other tests to rule out cancer or infectious diseases. Low Packed Cell Volume (PCV) and Hematocrit (HCT) - These measure the relative amount of red blood cells present in the blood (Normal PCV = 40%-60%, HCT = 36%-55%). Levels lower than normal may mean anemia. High Bilirubin - Bilirubin is a byproduct of the hemoglobin release that occurs with red cell destruction in IMHA. An increased level may indicate AIHA or liver or gall bladder disease. Increased Spherocyte Count - Spherocytes are small rounded red cells typical of AIHA. An increase may indicate AIHA. High Reticulocyte count - Reticulocytes are immature red blood cells. Normal level is 0.5 to 1%. A high reticulocyte count means not enough amount of new red blood cells are being produced. A level higher than 1% may indicate AIHA. Being diagnosed with AIHA doesn't mean the end of the world for a dog. AIHA is a treatable condition, but conventional treatment is aggressive and the dog may have to be hospitalized. To control the destruction of red blood cells by the immune system: This is usually achieved by using immunosuppressive drugs, such as steroids (prednisone, dexamethasone). Initially, high doses of a combination of immunosuppressive drugs may be needed to stop the immune system from further attacking the red blood cells. Once improvement is seen, the dosage can be tapered off. To prevent blood clot formation: This is achieved by using thromboprophylactic drugs, such as aspirin and heparin. To treat anemia: In serious cases, this is achieved by blood transfusion. Additional medicines will also be given if the dog is suffering from other symptoms, such as vomiting or stomach issues. Of course, if the dog's AIHA is caused by an underlying health condition, the vet will also have to treat that condition. 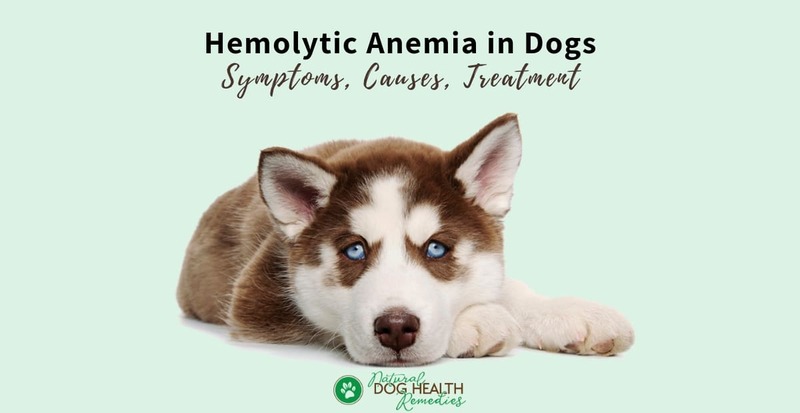 Since hemolytic anemia is a highly complex condition, treatment for each dog is slightly different depending on the dog's symptoms and condition. Working closely with a knowledgeable vet is essential! In the same 2016 FaceBook survey as mentioned above, 67% of the dogs required emergency blood transfusion therapy, and 31% needed other IV drugs. For immunosuppressive treatment, 94% of the dog patients were treated primarily with Prednisone (or Prenisolone). Famotidine (Pepcid) was used on 62% of the dogs as a stomach protector. 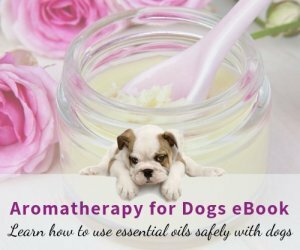 About 29% of the dogs received treatment for up to 3 months. Another 29% of the dogs received treatment between 3 and 6 months. About 21% of the dogs were treated between 10 and 12 months. Since strong medications (e.g. steroids) have to be used to treat hemolytic anemia in dogs, and since such medications come with a host of adverse side effects, you may want to use some natural remedies to help minimize the bad effects on your dog. To protect your dog's liver, use the herb Milk Thistle. Milk thistle is "the" herb for liver support. It can boost liver functions and help protect the liver from damage due to toxins and excessive drug use. Also, cleanse your dog's liver on a regular basis. In particular, use the liver cleanse diet as described on this page. Licorice Root: This herb stimulates cell growth, helps protect the stomach's walls, and alleviates ulcers. Slippery Elm: This herb soothes, lubricates and protects the stomach walls and digestive tract, and is ideal for treating ulcers. Aloe vera: The juice of this herb prevents nausea and help ulcers heal faster. Remember to get a drinkable aloe vera juice that contains only the inside of the leaf (inner fillet) such as this one . Do NOT get one that is made from "whole leaf" as the outer rind causes diarrhea. According to Dr. Jean Dodds, meals for dogs with hemolytic anemia should be given in small portions, and should be grain-free (no corn, soy, or wheat). In addition, a diet rich in iron, vitamin B12, and protein is essential in helping the production of red blood cells. If your dog has no appetite, consider adding some bone broth to the food to add more flavor (and nutrients). If your anemic dog suffers from bleeding, use Yunnan Baiyao, either topically or internally (depending on where the bleeding is). Yunnan Baiyao is a Chinese herb and it has been found to be very effective in stopping bleeding anywhere in the body. One side effect of immunosuppressants (steroids such as prednisone) is increased thirst and excessive water intake. Therefore, be prepared to let your dog out for potty breaks more often. It may be a good idea to get your dog an indoor toilet or some pee pads if you are not home during the day to let your dog out. Stress is one big trigger of autoimmune diseases such as AIHA. As such, let your dog live a stress-free life as much as possible. By this I mean, avoid using chemicals and toxins on the dog and in the environment. For example, use natural tick/flea remedies instead of chemical ones. Also try not to use chemical pesticides and insecticides around the house. As much as possible, minimize the use of medications (especially antibiotics) on your dog to address minor health issues. Very often, natural alternatives (e.g. natural antibiotics) can do the job in a safer way. Also, avoid using chemical based household cleaning agents, detergents, fabric softeners, and synthetic air fresheners. Find or make natural alternatives instead. Equally important is to pay attention to your dog's emotional health. In particular, avoid putting stress on your dog by keeping a relatively regular and stable daily routine. Avoid boarding your dog at a kennel if at all possible. Although there is no "hard evidence" connecting vaccinations with AIHA in dogs directly, many holistic vets are of the opinion that over-vaccination is one big factor in autoimmune diseases such as hemolytic anemia. Some vets now suggest that future vaccination should be avoided if a dog is diagnosed with hemolytic anemia. At the very least, do a titer test first before considering any booster shots. Dr. Steven Friedenberg and the Canine Genetics Laboratory at the University of Minnesota College of Veterinary Medicine are conducting research to try to identify gene mutations responsible for the development of immune mediated hemolytic anemia in dogs. 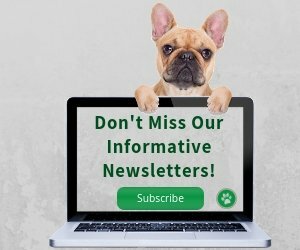 If you (and your dog) are interested in participating in the studies, click here for more information. 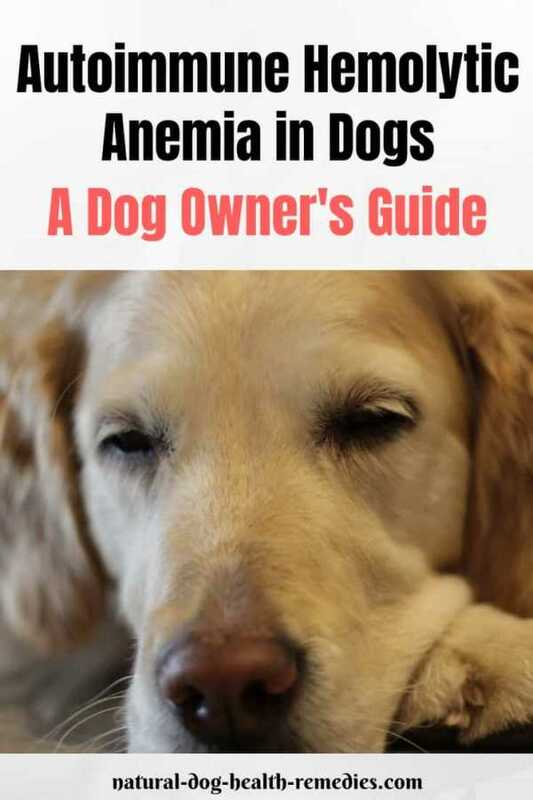 Also read more about Canine Anemia in general.